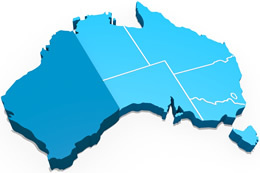 Western Australia (WA) is Australia’s largest state. As its name suggests it is located on the west coast of Australia. The state’s capital city is Perth. Before the arrival of European settlers, Western Australia was home to many Indigenous communities. In fact, there are around 66 Indigenous language groups within Western Australia. The Nyoongar (also spelt Noongar, Nyungar) people are the traditional owners of the South West of Australia. The Nyoongar people hunted kangaroos, possums and wallabies, fished, and gathered edible seeds and roots of plants. In the cooler, wet Perth winters, the Aboriginal people would wear Kangaroo skin cloaks and build huts for groups of people to live in. Stone tools that are estimated to be 35,000 years old have been found at the Djadjiling rock shelter in Western Australia’s Pilbara region. Many other artefacts have been found throughout Western Australia such as charcoal from ancient campfires, necklaces, stone and bone tools, middens, fish traps and quarries. Although the Dutch conducted the first documented exploration of Australia in the 1600s, it is thought that Portuguese sailors may have explored Western Australian waters as early as the 1500s. William Derby, the first Englishman to touch the soil of the Australian mainland did so near Derby in Western Australia on 5 January 1688. Western Australia was not settled officially until Albany was settled as a military outpost in 1826. Unlike the majority of Australian states, Western Australia was not settled as a penal colony. In the 1880s and 1890s people were drawn to Western Australia by the discovery of gold in the southern and central outback regions of the state. Western Australia continued to grow on the back of its farming and cattle industry. Colonial buildings were designed according to the climate, with shady verandahs, high ceilings, open areas and breezeways and cooking areas outside of the main building. On 1 January 1901, Western Australia joined with the other states to form the Commonwealth of Australia. The population of Western Australia is 2,567,800. Perth (the capital city of Western Australia) has an estimated population of about 2.1 million people. 50.3 percent of Western Australians are male and 49.7 percent are female. Aboriginal and Torres Strait Islanders account for 3.1 percent of the Western Australian population. The top five ancestries for people in WA are: English, Australian, Irish, Scottish and Italian. The top five languages (other than English) spoken in WA are: Mandarin, Italian, Filipino/Tagalog, Vietnamese and Cantonese. The top five countries of birth (other than Australia) for people in WA are: England, New Zealand, India, South Africa and Philippines. Western Australia is Australia’s largest state. Its total area is 2,529,875 km2 which accounts for 33 percent of Australia’s total land mass. With 12,889 km of mainland coast, Western Australia has the longest coastline of all the Australian states and territories. 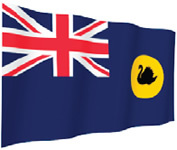 As with all Australian state flags the Union Jack appears in the top-left corner of the flag of Western Australia. It also pictures the State Badge: a yellow circle with a Black Swan at its centre. Western Australia’s Coat of Arms was granted by Queen Elizabeth II in 1969. The shield pictures a Black Swan on rippled water. The shield is supported by a Kangaroo on either side, each holding a Boomerang. Above the shield is a Royal Crown surrounded by Kangaroo Paw flowers. 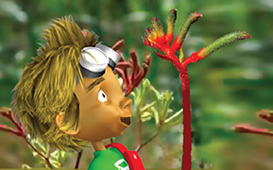 The floral emblem of Western Australia has been the Red and Green Kangaroo Paw since 1960. The flower is named for its shape which looks like a furry paw. Western Australia’s animal emblem is the Numbat. The striped marsupials have sharp claws and long tongues which they use to eat termites. The bird emblem of Western Australia is the Black Swan. The Dutch navigator, Captain Willem de Vlamingh, gave the Swan River its name, due to the large number of Black Swans he found there in 1697. Indigenous Western Australians have a story that says that the ancestors of the Nyungar people were Black Swans who became men. Western Australia even has a fossil emblem: the Gogo Fish. The long-extinct Gogo Fish lived on a barrier reef thought to have existed along the Western Australian coast 375 million years ago. The Gogo Fish has been Australia’s fossil emblem since 1995. Western Australia is home to some of Australia’s most spectacular scenery, extraordinary coastlines and diverse landscapes. It holds many manmade and natural wonders, some of which are detailed below. The Coral Coast is home to some of Western Australia’s most beautiful scenery and diverse wildlife. The Indian Ocean contains the world’s largest fish: the Whale Shark. At the World Heritage listed Ningaloo Reef you can swim with these amazing creatures. They can grow up to 16 metres with a mouth over a metre in width. You can also find dolphins, sea lions, manta rays, dugongs and humpback whales in the Indian Ocean. Dolphins play in the waters of Monkey Mia and every morning, rangers choose a small group of visitors to handfeed the dolphins in the calm waters of the bay. Kalgoorie is one of Western Australia’s largest goldfield cities. In the 1880s, people flocked to Western Australia hoping to strike it rich in the gold rush. Kalgoorie is home to the Super Pit Mine, which is Australia’s largest open pit gold mine. 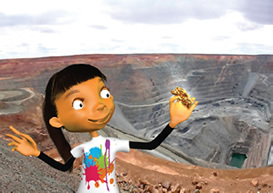 At 3.5 km long and 1.5 km wide, the mine is almost the size of Uluru. The mine is a part of the Golden Mile which is one of the most gold-rich square miles of earth in the world. The Super Pit Mine produces 850,000 ounces of gold a year. The mine operates 24 hours a day. Mining is a massive industry in Western Australia. In fact, Western Australia’s minerals and petroleum industry was worth over $106 billion for 2011-12. Gold itself accounts for $9.4 billion of the industry, making it Western Australia’s second most valuable mineral. The famous Australian author, Tim Winton, was born in Western Australia. Tim Winton has won numerous awards and in 1998 he was declared a National Living Treasure. The famous film and television stars Heath Ledger, Melissa George and Gemma Ward are from Western Australia. 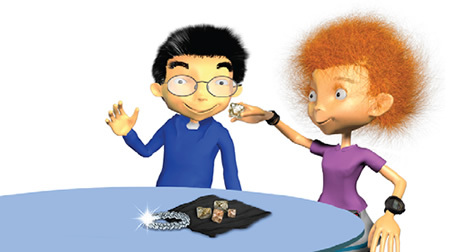 Western Australia is home to the Argyle Mine, the world’s largest producer of diamonds. Until Dutch explorers came to Western Australia, Europeans did not know Black Swans existed and thought that all swans were white. The corner where the Western Australian, South Australian and Northern Territory borders meet is called Surveyor General’s Corner. Interestingly enough, fewer people have been to this point than have visited the South Pole! The town of Broome has the world’s oldest open air cinema, which has operated since 1916. Rottnest Island in Western Australia was originally named ‘Rotte nest’ meaning ‘rat nest’ in Dutch. This is because the early Dutch explorers who named the place thought that the quokkas (small marsupials) that inhabited it were types of rats. Western Australia’s Mount Augustus is twice the size of Uluru. Although only one third of Mount Augustus is visible above the surface of the earth, stretching to a massive 8 km in length, this is the world’s largest rock.